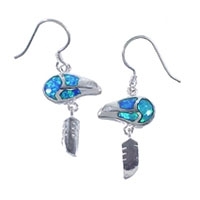 Opal earrings are a very popular piece of our Native American jewelry selection. 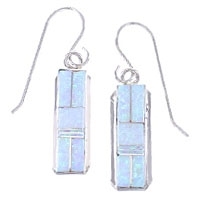 These earrings are not only revered by the people of the southwest; cultures all around the world have been collecting opal earrings for centuries. 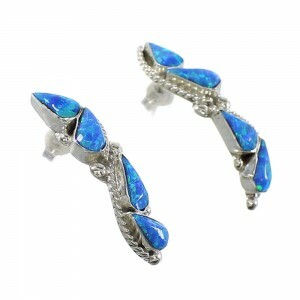 Some of the earliest uses of opal date back to the Ancient Greeks and Romans. 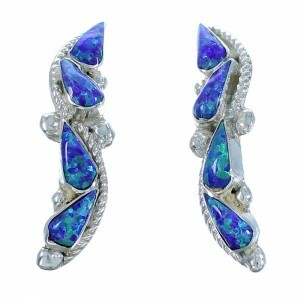 The Ancient Greeks held opal in the same high regard as diamonds, and used it in large quantities. 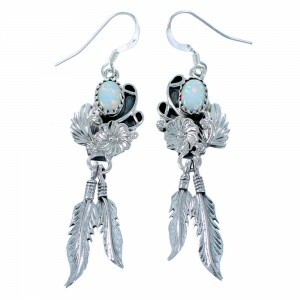 Native American artists have prized the opal stone for its beauty and adaptability. 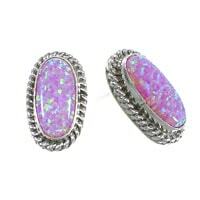 Our collection of Southwestern opal earrings is huge and continues to grow. We have a huge selection of styles to suit the pickiest of collectors. 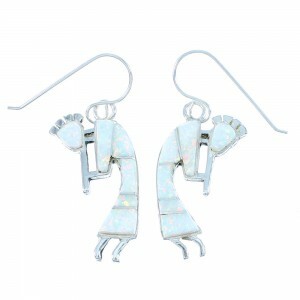 Whether you are looking for a simple white opal stud or you want a pair of eye grabbing opal dangle earrings, we have the right selection for you. Aside from being October's birthstone, opal has had strong cultural and spiritual significance to a great number of people. 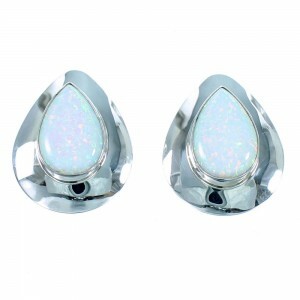 Back in the ancient times opal was used as a symbol of faithfulness and confidence. It was also highly prized in the Middle Ages due to a common belief that it helped to enhance eyesight. There are many who claim that this stunning stone reduces fevers, infections, and even helps to strengthen the immune system. Some even believe that opal helps to ease childbirth. As stunning as they look, there are definitely no shortages of things this remarkable stone is believed to do, and no shortage of reasons to give an opal earring as a gift to family and friends. There are two types of opals, one being precious, and the other being manmade. The precious opal stone is made of Silica spheres that fluctuate in size. The regular sizes and packing of the spheres is how the quality of the opal stones is measured. When scientists discovered the ordered structure of opals, people began to create absolutely brilliant manmade opal stones. 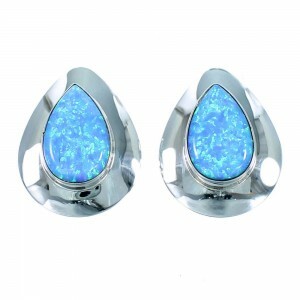 These stones can be seen in many of our stylish opal earrings. 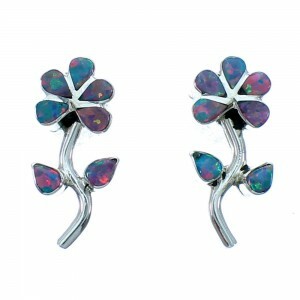 In modern times the use of manmade or created opal has surpassed the use of real opal. 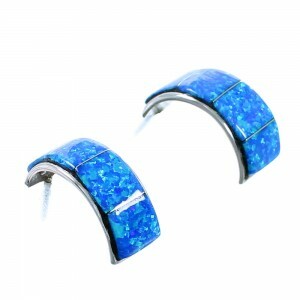 Many people prefer the look of the manmade opal stone to the precious opal. The creation of opal has allowed an amazing assortment of colors to become available, the most popular today being pink, blue and white opal. Some of the other colors available to artists include purple, green and fire opal. These stones contain stunning contrasts of blues and reds that make them an outstanding addition to any jewelry collection. 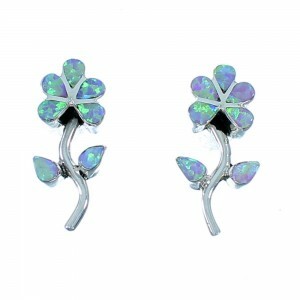 One of the greatest qualities of created opal is value and durability, which makes a pair of dazzling opal earrings accessible to everyone. 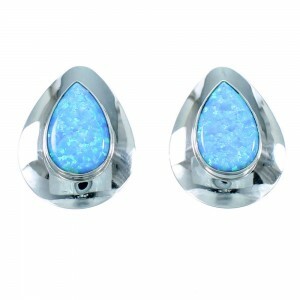 With so many styles and colors to choose from, you should have no problem finding the perfect pair of opal earrings. 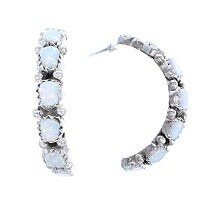 They can make an excellent gift or be the perfect accessory to go with any outfit. 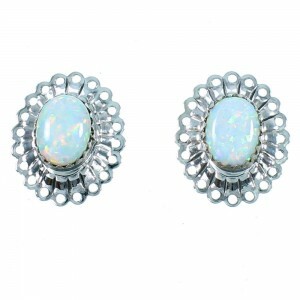 The only thing more diverse than the amazing colors is the broad array of new and traditional styles of opal earrings available. 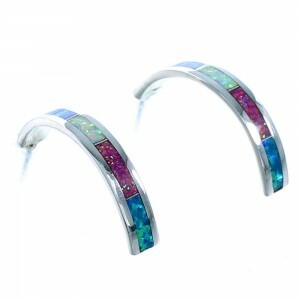 Our opal Inlay hoop earrings are dazzling and come in a huge and diverse range of designs. 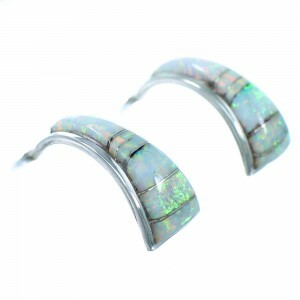 They can have all sorts of other stones inlayed in with the opal to make a stunning contrast. 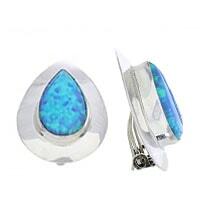 We have a large selection of opal inlay earrings as well as earrings with large opal stones in sterling silver settings. 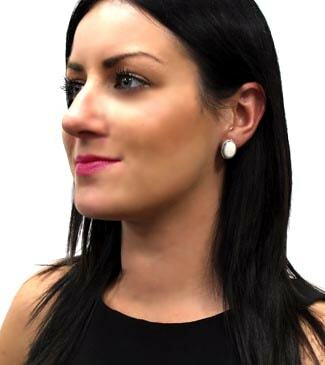 We even have a beautiful array of clip-on earrings for those who choose not to pierce their ears. 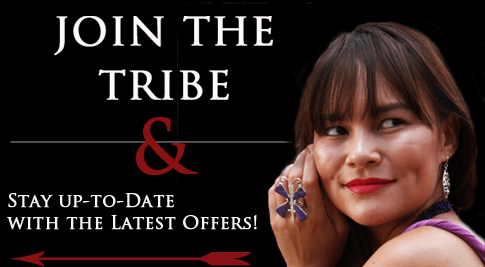 Take a look at the many assortments and styles of Native American opal earrings included in our Native American earrings catalog. Our products are always top quality and our prices the best possible. 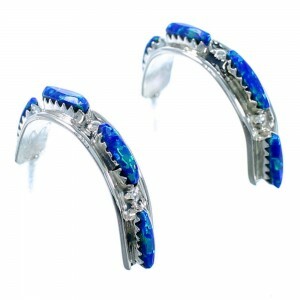 We are proud of having great customer service, which will help you find the right opal earring for your collection.